Grab this freebie of several pages from my soon to come math interactive notebook for second grade. 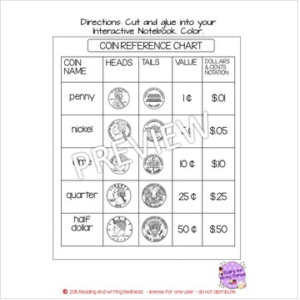 Includes a coin equivalent chart for student reference and several flap books where students record different ways to show money amount. Could be used to differentiate with first grade and third grade as well. • Look for the green star next to my store logo and click it to become a follower. YAY! You will now receive email updates about this store. ☺.